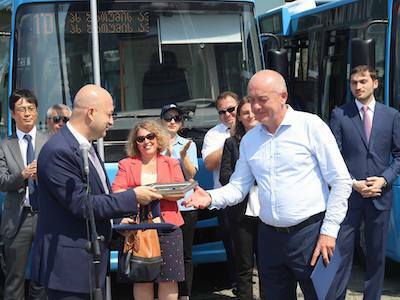 In September Batumi Autotransport received the first supply of new buses financed with the loan of the European Bank of Reconstruction and Development. New fleet of buses will significantly improve the public transport services in Batumi along with the implementation of the organisational support by Corporate Development Programme & Stakeholder Participation Plan provided by GMCS, a.s. Simultaneously to the delivery of new buses a workshop on general management and corporate strategy has been delivered with examples and experience of other cities in developing integrated public transport services. Batumi Autotransport management and representatives of Municipality took part in the workshop. 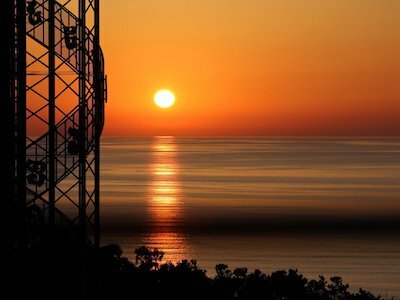 A range of plans related to information and communication with stakeholders has been prepared and accepted by the Company, including the forthcoming information campaign in the City . GMCS is continuing to support Batumi Autotransport with consultancy services to meet the terms and conditions of EBRD financing.